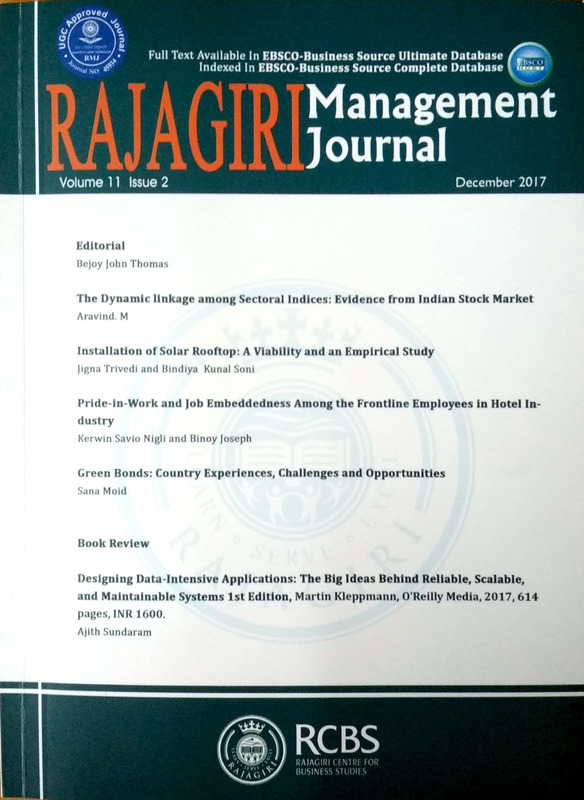 Rajagiri Management Journal (ISSN 0972-9968) which was launched in February 2000 as a double-blind peer-reviewed bi-annual journal by the Rajagiri Centre for Business Studies,Rajagiri College of Social Sciences, Kochi The focus of the journal has been to encourage and disseminate research on management issues done by management experts, business practitioners, and academicians. 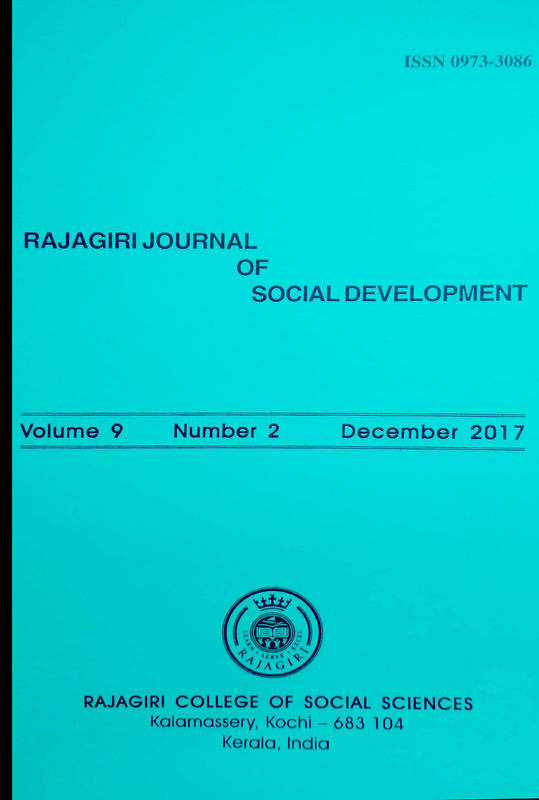 Rajagiri Journal of Social Development (ISSN 0973-3086) a peer reviewed bi-annual journal was launched at the time of the golden jubilee celebration of the Rajagiri College of Social Sciences in 2005. The purpose of the journal is to disseminate field-based and field-related knowledge in the area of social development. The journal benefits both academicians and practitioners who are interested and involved in programmes and activities of social development. The Journal is indexed in - Proquest (Indian Database, Social Science Database, Social Science Premium Database, Proquest Central, Sociology Collection & Sociology database) and EBSCO Business Source Complete.